"She runs the gamut of emotions from A to B." Dorothy Parker, on Hepburn. William J. Mann, Kate: The Woman Who Was Hepburn (2006). 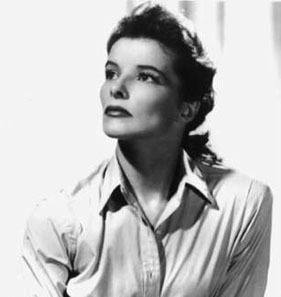 Discussion of this biography appears in "Too Hepburn for Hollywood", Vanity Fair, October 2006, and also, Michael Rowe, "Katharine Hepburn: Leading Man", The Advocate, 20 November 2006, quoting Mann: "The reviews in the UK asked why I didn't just come out and say she was bisexual... They didn't understand why I didn't use that term. It's because I don't think it tells us enough about Katharine Hepburn. You can describe her activity as bisexual, but she certainly would never have thought of herself in those terms." Hollywood Walk of Fame 6288 Hollywood Blvd.